The Parisian sky is finally clearing, after two weeks of severe pollution. 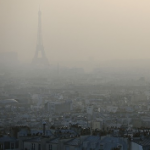 Paris imposed drastic measures to combat the toxic smog that had rolled over the city for several days: free public transports, speed restrictions, car ban (only odd-numbered vehicles were allowed). Those special measures almost brought things back to normal: the warning level has revived the political debates, three days before the municipal elections. The Government has been criticised for its lack of responsiveness and investment: “How do you explain that there are less than 50 hybrid buses in Paris, when there are 400 in London?” Nathalie Kosciusko-Morizet - mayoral candidate in Paris- questions. Excessive diesel emissions in France are indeed considered to be one of the major causes for this pollution episode. In London, the issue has also become an emergency and a priority. If the UK seems to have managed to slip under the radar, many Londoners are claiming that the Mayor of London, Boris Johnson, is not doing nearly enough to improve air quality; for instance, pollution levels near Buckingham Palace are almost four times over the European limit. During the 2012 Olympics however, changes led to a significant reduction in road traffic and a net improvement of air quality. It is worth noting that Paris is also about to make open fires a thing of the past. From January 2015, it will be illegal to have an open fire in the capital. A little late might you say given that the UK passed a similar act back in 1956: The Clean Air Act. 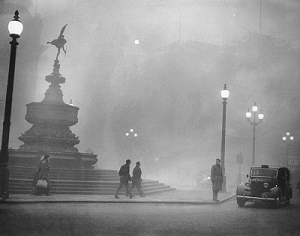 This act was a direct response to the "Great London Smog" of December 1952 which is believed to have killed more than 4,000 people and another 8,000 died later as a result of it. Food for thought wouldn't you say? Why has it taken so long for France to introduce a similar law? Finally, when it comes to pollution issues the solution might only be found at European level.